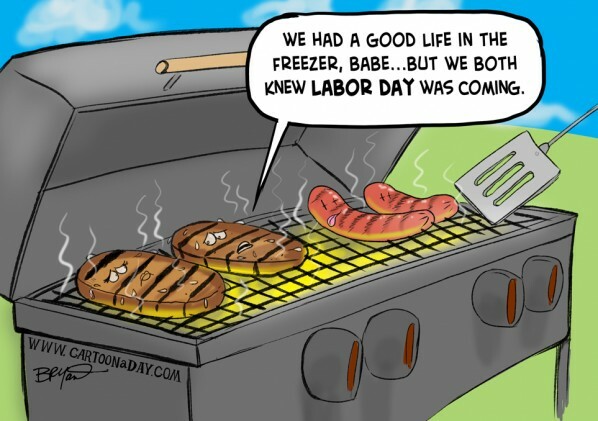 Today is Labor Day 2012, do you have plans to relax or labor? In the above scene I imagine how the burgers feel being cooked. One burger discusses life while being cooked on a grill during Labor Day.